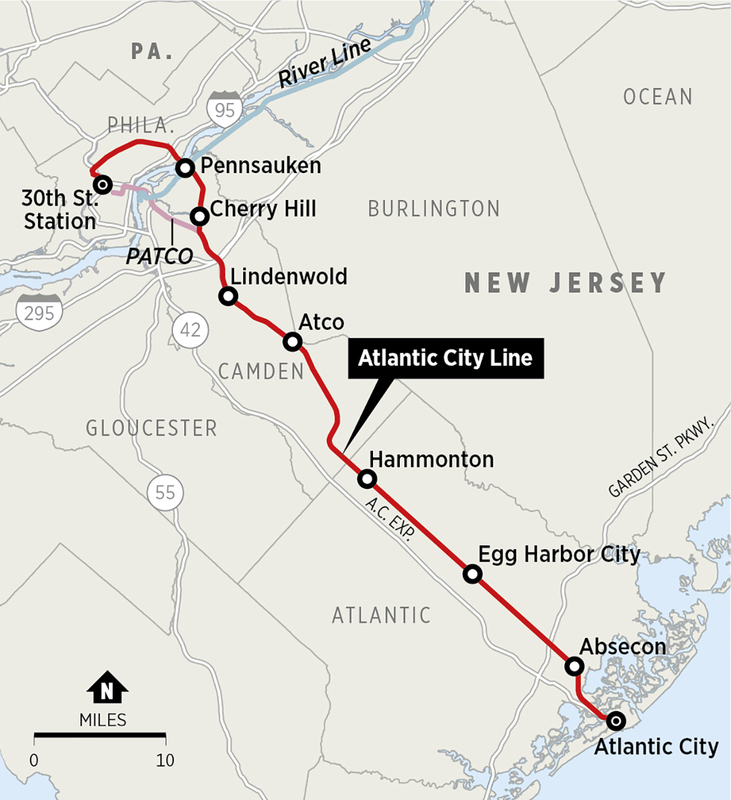 New Jersey Transit announced Feb. 27 that it will restore service on the Atlantic City Rail Line (ACRL) and the “Dinky”—a short shuttle line between Princeton Junction on Amtrak‘s Northeast Corridor (NEC) and a point close to downtown Princeton—but riders will still have to wait 85 more days to get their trains back. Both lines were shut down after Labor Day last year, purportedly to facilitate the installation of Positive Train Control (PTC) equipment. NJT Executive Director Kevin Corbett announced the coming service restorations at a hearing in Cherry Hill that was organized by state officials to give riders an opportunity to complain about the service they had lost. He said that the trains would run again starting May 24—the Friday before Memorial Day. Other trains that ran on lines further north were also removed from the schedule, but riders on those lines were not so lucky. Corbett’s announcement did not mention when, if ever, any of those services would return, and neither did the NJT press release that announced the restoration date for the Atlantic City line and the Dinky. The ACRL and the Dinky are the only lines that were shut down completely. NJT provided substitute bus service, but South Jersey riders and their representatives, including Congressman Jeff Van Drew, have complained about the ACRL shutdown since before it started. At first, NJT had said that service would be restored by the beginning of the year—a date later pushed back to the end of January, and then to mid-March. On Jan. 25, the agency announced that service would be restored during the “second quarter” of this year. NJT seems to be adhering to that time frame for the ACRL and the Dinky, but riders and advocates further north continue to wonder when and if the trains they lost will be restored. South Jersey riders seemed skeptical, too. 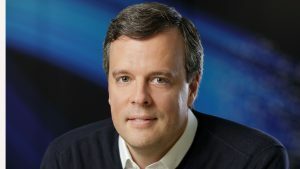 The Philadelphia Inquirer and its website, www.philly.com, reported that, when the May 24 date was announced at the Cherry Hill hearing, nobody applauded. Weekday “one-seat-ride” trains on the Raritan Valley Line to Penn Station New York have been suspended. So has weekend service on the Gladstone Branch between that town and Summit on the Morris & Essex (M&E) Line, but substitute buses are running there (although not on weekdays, and Gladstone Branch riders recently suffered a three-weekday service outage). Selected trains were removed from the schedule on the M&E, Montclair-Boonton and other lines, but NJT has not provided substitute buses to fill the gaps in the schedules that the suspensions created. The sole exception is the last inbound train of the evening from Dover, which used to leave at 11:30. Through the efforts of the Lackawanna Coalition (of which this writer is Chair), NJT hired a bus from the Lakeland Bus Company to run that schedule in Morris County, so riders would not be stranded. NJT confirmed that the Cherry Hill announcement did not concern any of those services, and said that the agency is checking on Amtrak’s work plans along its part of the railroad before confirming any restoration date for them. A busload of South Jersey riders, supported by local elected officials and advocates from the Delaware Valley Association of Railroad Passengers (DVARP) journeyed to Newark on Feb. 13 to address the NJT Board with their concerns. About 15 of them made statements, to which no Board members responded. Last week, though, Gov. Phil Murphy announced that, within three weeks, NJT would specify a date for Atlantic City service to return. He accelerated the deadline for that announcement on Feb. 26, and Corbett made the announcement itself on Feb. 27. Nick Pittman, a TV meteorologist in South Jersey, has emerged as one of the region’s most vocal advocates. He had complained to the legislature as early as last summer about the impending shutdown of the Atlantic City trains, and he was suspicious about NJT placing the blame on the need to install PTC. “What they told the people wasn’t true,” he said, adding that the shutdown was about a lack of equipment and an ongoing shortage of engineers. Pittman was not placated by the announcement that the South Jersey trains would come back in time for Memorial Day. 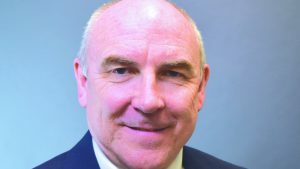 He told Railway Age, “It was upsetting that Executive Director Corbett was on the phone while we spoke. They were going to do what they were going to do.” He said that “political optics” were involved, and he alleged that it had been planned that service would come back just in time for the beginning of the summer season. Nobody seemed surprised that service is set to return the Friday before Memorial Day. The Shore, running from Sandy Hook in the north to Cape May in the south, is collectively one of New Jersey’s biggest money-makers. It is filled with beaches, other attractions and accommodations for tourists. Its season runs from Memorial Day Weekend through Labor Day, and some tourist-oriented businesses remain open on weekends in September. 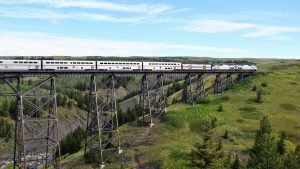 The ACRL shutdown began after the busy season last year, and it seemed obvious in retrospect that the most likely date for the trains to return is the start of this year’s busy season. Princeton is a wealthy suburb located midway between New York and Philadelphia, and it was easy for NJT to promise that service would return on the same day to the two lines where it was suspended. As for the cuts north of the Dinky, riders there are looking at NJT’s previous announcement that service would return during the “second quarter,” and they are skeptical. They expected their trains to return at the start of this year, and they are now looking at June 30—six months later. NJT may delay the return of those trains even longer, and riders are concerned that some or all of them may never come back. NJT has a history of “temporarily” removing trains from the schedule and never restoring them. In the meantime, South Jersey and Princeton riders are counting down their 85-day waiting period, while nothing has changed for their counterparts further north. 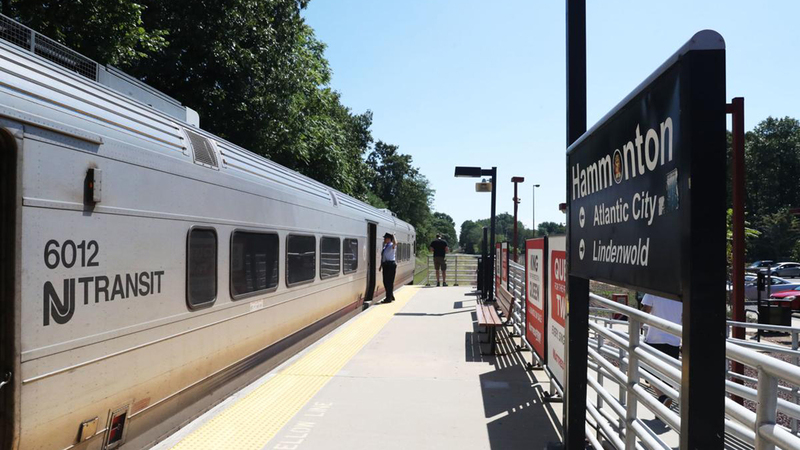 There are three hearings scheduled in the region to allow riders to air their grievances: two on the Raritan Valley Line (at the Westfield and Somerville stations) and one in Morris Township, near the M&E Line, but not near enough for riders who depend on transit. The site is 1.5 miles from Convent Station, there are no local buses, part of the walking route has no sidewalks, and the hearing is scheduled for March 11—a winter evening. The Lackawanna Coalition is attempting to secure transportation to the hearing for some transit-dependent riders on the M&E, but it was not known at this writing whether or not that initiative will succeed. It now appears that Morris Township will provide limited transportation for attendees who need it. So South Jersey and Princeton riders now have a “date certain” when they are supposed to get their trains back. They hope they can count on it. Riders further north are no better off because of NJT’s announcement on Feb. 27. Some of them cannot even attend the hearing called specifically to allow them to make their complaints, because NJT does not provide service anywhere near the hearing site. The region’s riders hope that a hearing planned for a transit-inaccessible site is not an omen that they will be left out in the cold for a long time to come.